 Janus Henderson Investors are an independent asset manager that is dual-listed on the New York Stock Exchange and the Australian Securities Exchange. They formed in 2017 from the merger between Janus Capital Group and Henderson Global Investors, and they currently have more than £280 Billion in assets under management. Although headquartered in London, they have 2,000 employees in offices across 28 cities worldwide. The merger between Janus Capital and Henderson Global Investors created an extensive and ambitious fund management network with significant client assets under management. But has it improved the performance of their funds or are their better-performing alternatives available? To identify the quality of the funds on offer we analysed the 1, 3 & 5 year performance and sector ranking for each of their funds. As detailed in this report over 71% of their unit trust and OEIC funds delivered growth that was worse than at least 50% of their competitors during the 5-year period analysed. This analysis provides an insight into the performance of 66 funds that are managed by Janus Henderson Investors. On display are the last 1, 3 & 5-year cumulative growth figures for each fund up to 1st October 2018. Each fund has been provided with a performance ranking between 1 and 5-stars based on how well they compared alongside all other competing same sector funds over the periods analysed. The top-performing Janus Henderson fund was the 5-star rated Janus Henderson Global Equity fund, which currently holds £599 Million of client assets. This fund was recently merged with the Janus Henderson World Select fund after an extraordinary general meeting, with the merger taking effect on 20th September 2018. Currently, this fund invests principally in a concentrated portfolio of global securities with a bias to those companies that have developed strong franchises and competitive advantages. This approach has seen the fund consistently outperform the majority of competing funds within the highly competitive Global sector. Over the recent 1, 3 & 5 year period this fund returned cumulative growth of 17.22%, 75.14%, and 124.45% respectively, which continually ranked within the top quartile of funds in its sector. 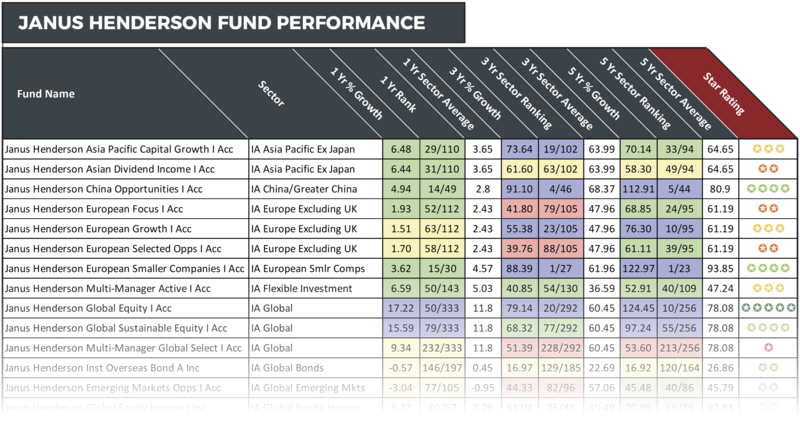 Another Janus Henderson fund to perform well was their UK Alpha fund. Launched in November 2001, this fund has struggled in recent months, however, over the past 5-year period it returned cumulative growth of 70.79%, which was well above the 47.15% sector average. 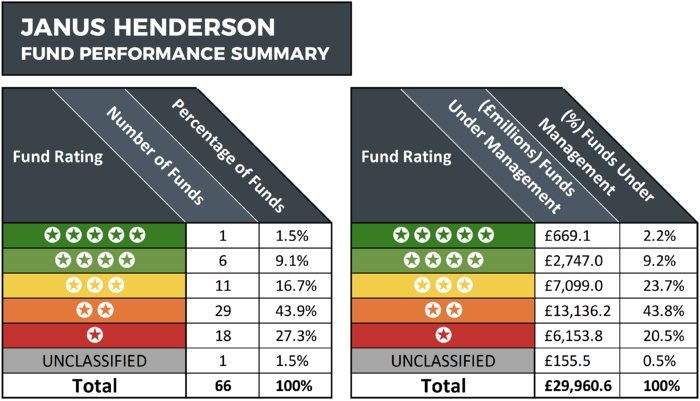 The largest proportion of client assets managed by Janus Henderson (64.3%) are held within their funds that have a poor performing 1 or 2-star performance rating, and only 11.4% are held within funds that received a 4 or 5-star performance rating. The largest of their funds to underperform was the Janus Henderson Strategic Bond. This fund currently holds more than £2.1 billion of client assets, and has struggled in comparison to its peers. Over the recent 3-year period the funds cumulative growth was 8.65% ranking the fund 53rd out of 70 competing funds in this sector. Another Janus Henderson fund to struggle was their UK & Irish Smaller Companies fund. This fund has consistently underperformed, and over the recent 5-year period its growth of 40.44% was the worst in its entire sector and well below the sector average of 90.21%. Over the past 12-months this fund has not fared much better with growth of 3.18% (lower than 94% of its peers). There are currently 13 investment trusts with total assets exceeding £7.6 billion. However, our performance analysis of each found that each had performed worse than at least 50% of their sector peers during the recent 5-year period. The largest of which was the popular ‘City of London Investment Trust’ which has total assets of £1.4 billion. Over the last 1-year period this trust returned growth of 3.96%, below the sector average of 4.3%. The ‘TR European Growth’ trust returned the highest cumulative growth in its sector over 5-years with growth of 125.32%, however, in recent years it has struggled. Over the past year it returned negative growth of -11.39%. In contrast, the ‘Henderson Opportunities Trust’ has struggled for competitive growth over the recent 3 & 5-year periods but over the past year it has returned growth of 16.61%, which was one of the highest in its sector. Janus Henderson are a popular fund manager among investors who have entrusted them to manage over £280 Billion of their assets. However, our performance review found that only 2.2% of these assets are in funds that have consistently outperformed at least three-quarters of competing funds within the same sector over the past 5-years. Overall, our performance analysis identified that only 7 of the 66 funds analysed maintained a consistently competitive level of performance in comparison to their peers over the 1, 3 & 5 year periods examined. Conversely, 47 of their funds have returned growth that ranked below at least 50% of their peers during the five-year period analysed.